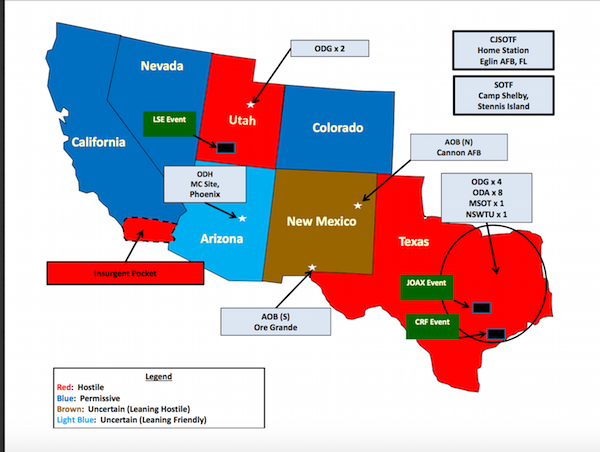 In light of recent happenings around the whole subject matter concerning Jade Helm and other supposed military exercises being conducted now and during the upcoming months throughout the summer up until (we are told) September 15th… Why should we care? Our so-called United States are being challenged within and without our so-called borders. And challenging states, patriots and rebels in a game playing scenario is not what our military was brought on board to do… Training our military to go after our own citizens is not only highly questionable it indicates an exceedingly diabolical intent on the part of those in charge. Citizens are right to be concerned about this type of instigation and so-called “training” taking place on our streets.